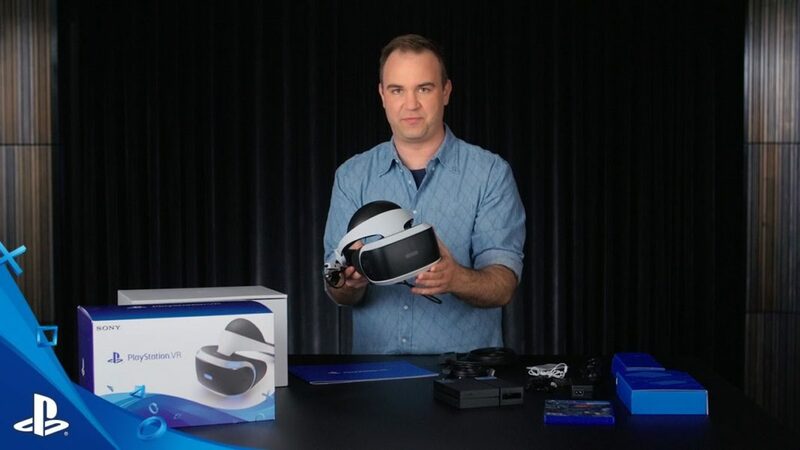 Sony has posted Sony PS VR core bundle box unboxing video. Sony PlayStation VR core bundle box includes headset, headphones, processing unit, and demo disc. PS4 VR box does not include the Move controllers. Last month Sony also announced PS4 Slim and PS4 Pro. Sony PS4 is now available and PS4 Pro is coming next month. Sony PS VR core bundle box pre-order is now open and the bundle will cost you $400. Sony PS VR is arriving on October 13th.